GC Custom Metal Fabrication Ltd., a family owned and operated company, specializes in rapid prototyping and production runs in custom fabrication and machining. The company grew quickly, and George started looking for a larger space. When the building he was operating out of went up for sale, he purchased it and steadily expanded into all four bays. It wasn’t just the company expanding, it was the range of services too. GC Custom Metal brought in CNC equipment and purchased another location for powder painting. Next, water jet and laser cutting machines were added. 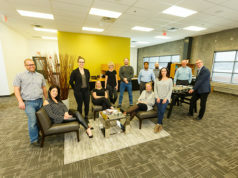 Earlier this year GC Custom Metal consolidated the four locations by purchasing and renovating their 2503 – 84 Ave facility, and the family couldn’t be happier to see how the company has grown and developed over the past. 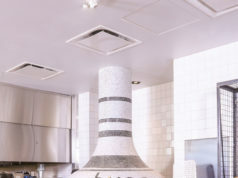 GC Custom Metal has created everything from stunning exterior metal bar panels to hidden internal components. 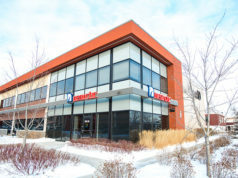 Their work stretches across Western Canada and around the world in everything from signage to foundational building components. It was this responsiveness that earned the company a project to quickly fabricate an integral part of the Keystone Pipeline – a part that was critical to commissioning the pipeline. With their processes in place and the move to the new building behind them, Darren and Steve are focused on the next phase of GC Custom Metal’s evolution: internal organizational excellence and supporting the team with leadership, training, and opportunities. 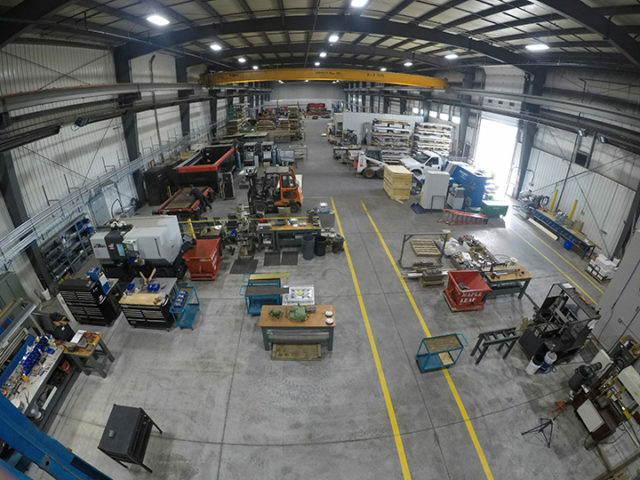 GC Custom Metal started as a one-bay operation and now has a 32,000 square foot shop, a 3,000 square foot office, and completes orders for customers around the world. The management thanks George for setting the foundation, their clients for helping to grow the company, and the team for their hard work.